I thought I would start a new series, much like my skincare series that has been going for 2 weeks now which you can view my Top 3 Day Creams 'Here' and My Top 3 Cleaners 'Here'. A post called "The New Thing" will feature just that - whatever is new to me that week, or month that I want to share with you. This week I thought I would write about the Max Factor Creme Puff Blushers. I only have one of these beauties, simply because none of the other shades caught my eye. So lets delve into this pretty blush.. 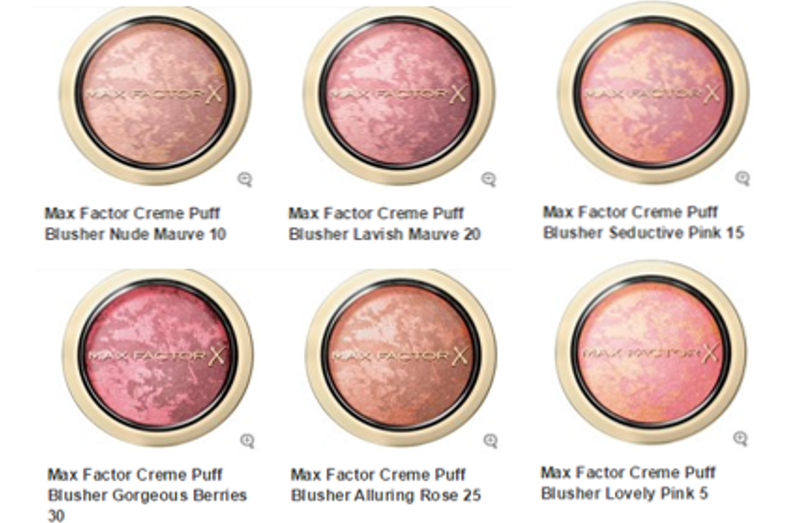 The Max Factor Creme Puff Blushers come in 6 shades. I opted for 15 Seductive Pink, a baked formulation that offers multi tonal pigments. The other shades seemed very dark in their formulation, and I didn't think they'd suit my skintone. The Seductive Pink shade is the same colour as when I naturally flush, so it was the right option for me. For £8.99 these blushers are similar to the Ambient Lighting blushers, but for me they do not offer the same pigmentation. The Max Factor equivalents are pretty, and do last throughout the day but luminosity wise they just don't cut it. The packaging means that they are incredibly portable, they don't take up too much room in your makeup bag either. Overall, the colour range is great, there's something for everyone. But if they made these blushers alongside a highlighter in one palette, I would be all over that! Maybe Max Factor will come up with a duo blusher and highlighter palette and more shades in the range? A baked or marbled highlighter will look amazing! So have you tried the Max Factor Creme Puff Blushers yourself? You can pick up these blushers for £8.99 'Here' from Superdrug. Currently on a 3 for 2 across all make up brands. I am dying to get my hands on one (or more) of these! They look great and are such a bargain. That shade looks perfect, I also like the look of the mauve pink I think it's called!